KeysightCare is a new service model that offers design and test engineers dedicated, proactive support for instruments, software, and solutions. A choice of service-level agreements that help prioritize support and deliver rapid response times via a dedicated portal that tracks support cases and offers access to relevant expert information. Improved predictability of projects with scheduled calibration of test equipment and certified precision to support the intense demands of the latest industry applications and standards. Insight into potential issues before they happen, with proactive notifications of the latest software and firmware updates, and access to online resources such as the Keysight Knowledge Center and productivity tools. Enhanced productivity of engineering teams with dedicated access to experts who possess deep knowledge and understanding of current and changing technologies, as well as industry standards. 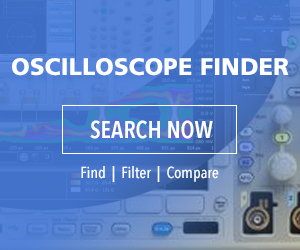 Oscilloscope technology – What lies ahead?